Think you need your own garage to grow marijuana at home? Think again! 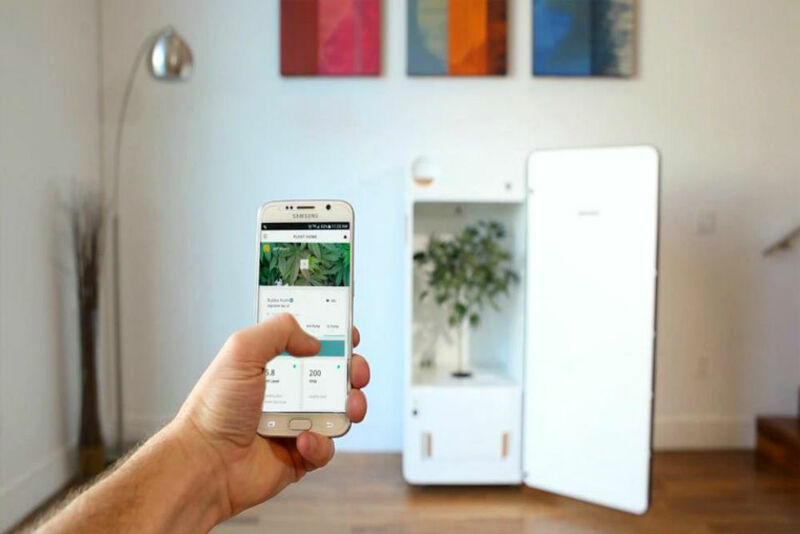 LEAF is a mobile-powered, temperature and humidity controlled, nutrient delivery system for your personal weed farm. The size of a small refrigerator with the ability to accommodate a fully mature plant, the automated system will is slated for launch in the coming months. All you need to do to get your hands on one is provide proof of a medical marijuana prescription, or proof that you are 21 or over in states where marijuana is legal for recreational use. Additional features include recipe creation, automatic water changes and pH balancing, and you can even connect to your home’s water and sewage system for automatic growing.